Garnier Summer Body Moisturising Lotion. I've been using this product on and off for several years, and I always forget how good it is. I'm often put off by the fact it has no colour guide, which makes it a bit tricky to apply (especially around the wrists and ankles!) However, when it's done right it adds the perfect, natural glow to my skin. I usually apply it just before bed and then jump in the shower the following morning to wash off any excess colour. It smells delicious (like apricots) and it doesn't stain my bed sheets. Also, due to the fact it's a moisturiser, it leaves my skin feeling beautifully soft. I usually pick up the 'deep' colour as I like a really dark tan, but it's also available in a lighter shade too if your prefer a more subtle look. St. Moriz Wash Off Instant Shimmer Tan. I'm a big fan of St. Moriz, so when the brand offered to send me a sample of their new Wash Off Tan I couldn't wait to try it out. I was worried the shimmer would look a bit glitter ball-esque, but fortunately its nice and subtle and adds just the right amount of glow to the skin. I use this on top of my Garnier Lotion to create an even deeper colour - it blends beautifully and doesn't leave any streaks. However, due to it being wash off, if you do make a mistake you can simply rinse it away and start again. St. Moriz also do a matte tan for those of you who aren't a fan of shimmer - although I think the subtle sparkle is perfect for a summer night out. The best part about these products is that they're both around the £5 mark, which means you can achieve beautifully tanned skin even if you're on a budget. Neither of them have the tell-tale tanning stench, nor do they leave great dirty streaks on my skin. Two brilliant products I'd happily purchase again and again. Do you have a fake tan routine? What are your favourite products? I have been loving Summer Body lately, it gives such an even colour. I also like that it has a fruity smell when you first apply it! 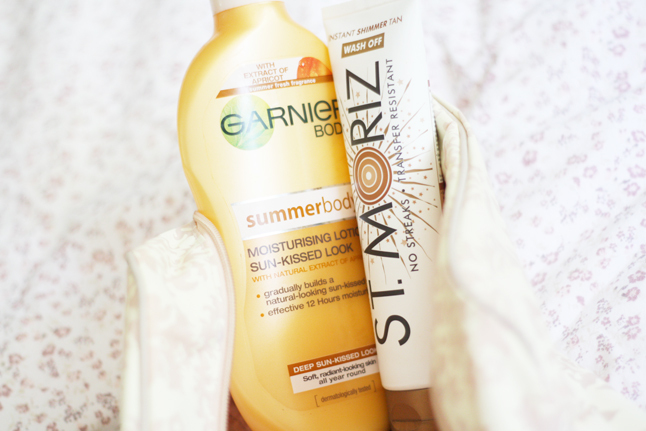 I love garnier summer body, I use it only on my face and neck if I'm looking a bit pale. I always streak if I put it anywhere else with there being no colour guide. I'm going to be blogging about the St Tropez version this week. I really want to try the Garnier lotion! 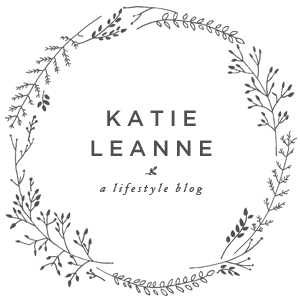 I never really get on with fake tan but quite like the moisturiser based alternatives - great post! I'm so pale so I'm so scared of fake tan so I love the sound of the wash off tan! I used summer body last year and it was great! i have the st moriz tan and have never actually used it - should probably try it out! I used to only use St Moritz but I've been converted to St Tropez! My purse isnt happy!